Having just completed my Time Travelers: World History for Kids class, I’ll be posting recaps of our adventures! 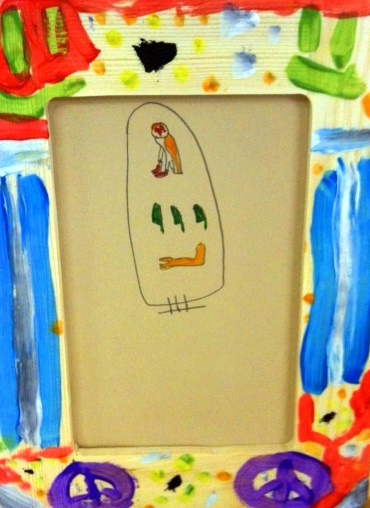 Here’s our first stop….Ancient Egypt! Today, our amazing time machine took us back to Ancient Egypt where we learned what it might have been like to be a kid during that time period! We arrived at the era of the New Kingdom(1570-1070 BCE). The Nile River continues to be a source of fresh water and abundant fish, large ships transport cargo from one part of the kingdom to the other and town life revolves around the temple, with its own bakeries and schools. We discussed the use of papyrus and stylus instruments in the Egyptian writing process of hieroglyphics and tried to decipher what different hieroglyphic symbols might represent. We looked at a variety of books about Ancient Egpyt, a map of the area and got to feel what a real piece of papyrus feels like and examined the inner workings of an Egyptian sailing vessel. 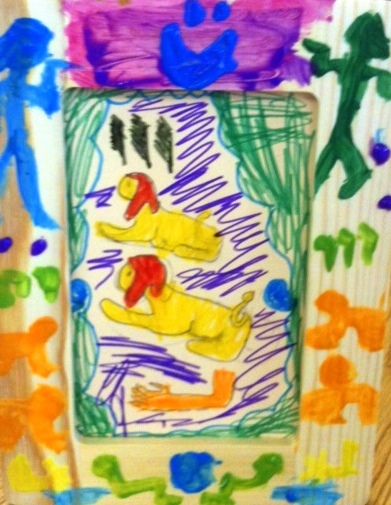 Each child got the opportunity to translate their names into hieroglyphics and frame the beautiful results! We even competed in teams to see who could wrap a mummy the fastest! 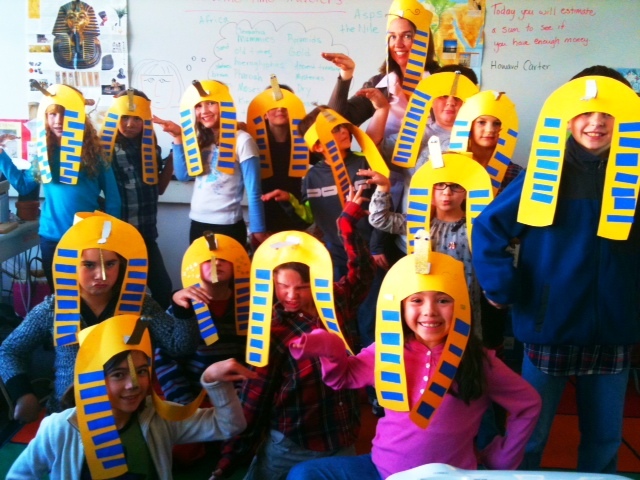 For our craft project today, we created our own Pharaoh’s headdresses – perfect for a night out on the Nile! For more Egyptian fun at home, try these family activities! There are a number of “hieroglyphic translators” available online…I used the “Virtual Egypt” site for this particular class. Try going online and translating your name or other family members’ names! Ancient Egyptian civilization lasted for more than 3,000 years! 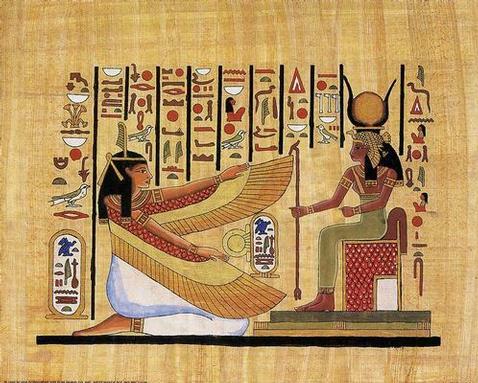 Both Egyptian men and women wore makeup since the Egyptians believed that the makeup had healing power! The first pyramid (The Step Pyramid of Djoser – built in 2600 BC) was originally surrounded by a 34 foot tall wall and had 15 doors in it. Only one of the doors opened. The Egyptians believed in a large array of Gods and Goddesses, including Bastet the Cat Goddess and Horus the Falcon-Headed God. Absolutely amazing, Katie. Such an interesting, exciting class. You are brilliant!